David M. Schuler Jr., born Batavia, New York, 1963; admitted to bar, 1996, Kentucky; 2006, Indiana; also admitted to practice before U.S. Court of Appeals, Sixth Circuit; U.S. District Courts, Eastern and Western Districts of Kentucky and Southern District of Indiana. Preparatory education, University of Kentucky; Bellarmine College (B.A., 1990); legal education, Pettit College of Law, Ohio Northern University (J.D., 1995). Fraternity; Delta Theta Phi. Order of Barristers. Assistant Commonwealth’s Attorney, Louisville, Kentucky, 1997-2003. Associate, Frost Brown Todd LLC, 2003-06. Member: Louisville, Kentucky, Indiana, American Bar Associations and Kentucky Justice Association. David Schuler is an assertive, experienced, auto accident attorney in Kentucky who is a dedicated advocate for injured people and those accused of crimes in Kentucky and Indiana. 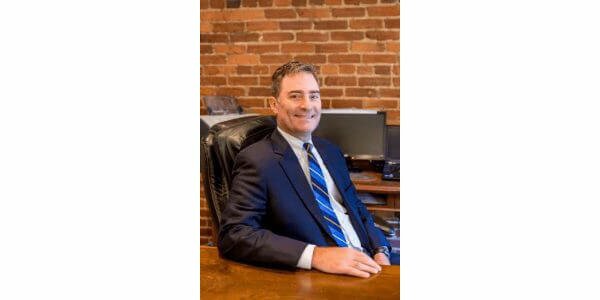 Attorney Schuler began his career as an Assistant Commonwealth’s Attorney, prosecuting felony crimes in Louisville, Ky. and continuing as a civil litigation defense lawyer for one of Kentucky’s largest law firms. Now an accomplished lawyer at Schuler Law Office, he dedicates his considerable skill and experience to representing victims in civil litigation, including auto accidents, accident injuries, personal injuries, wrongful death, automobile, trucking and motorcycle accident cases and slip and fall premises liability cases, as well as defending those accused of criminal offenses. Clients call Mr. Schuler thorough, compassionate and dedicated. Highly responsive to the unique circumstances of each case, Mr. Schuler inspires confidence that his clients’ interests are protected. “I thought all attorneys were out to make money and cared little for their clients. You proved me wrong,” says one former client. “You restored my faith in the law. You restored my faith in people,” says another. David M. Schuler Jr. is a Kentucky auto accident lawyer who will resolve your legal issues with an unsurpassed level of professionalism and attention to detail. Mr. Schuler is a graduate of the University of Kentucky, Bellarmine College (B.A., Business Administration, 1990) and Ohio Northern University (J.D., 1995). He is admitted to practice in Kentucky, Indiana, the U.S. District Courts for the Eastern and Western Districts of Kentucky and the U.S. Court of Appeals for the Sixth Circuit. He is a member of the Louisville, Kentucky, Indiana and American Bar Associations, the Kentucky Justice Association, the Multi-Million Dollar Round Table Forum and the Order of the Barristers. Mr. Schuler is assisted in his practice by an experienced, compassionate and thorough paralegal, Jennifer A. Keen, who works diligently in all phases of the practice. Schuler Law Office provides experienced, effective auto accident and litigation representation throughout Kentucky and Indiana. Call for a free initial consultation at 502-568-9000 or use our contact web form.